With August comes some of the hottest weather of the year. Hot, humid weather is the perfect recipe for problems with your garbage can: smells, sticky leaks and pests. 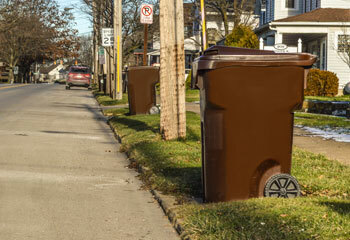 Use these tips to minimize any unpleasant experiences with your garbage can. Always bag your garbage! Never put loose trash in your can. Rinse recyclable containers if they have come into contact with food. You shouldn't bag your recyclables, so keeping the containers clean helps cut down on problems. Rinse your trash can with soap and hot water occasionally, whether it smells or not. This is one of the best ways to prevent the buildup of unpleasant odors. If soap and water don't remove the smell, make a 1:3 vinegar-to-water solution and spray down the inside of your can. Wipe the inside, and repeat until the odor is gone. Baking soda can also be used to eliminate odor. Place an open container filled with baking soda at the bottom of the can overnight. It will absorb the smell. Leave lemon rinds in the bottom of the closed can overnight to mask bad odors. Throw the rinds away in the morning so that they do not attract fruit flies.